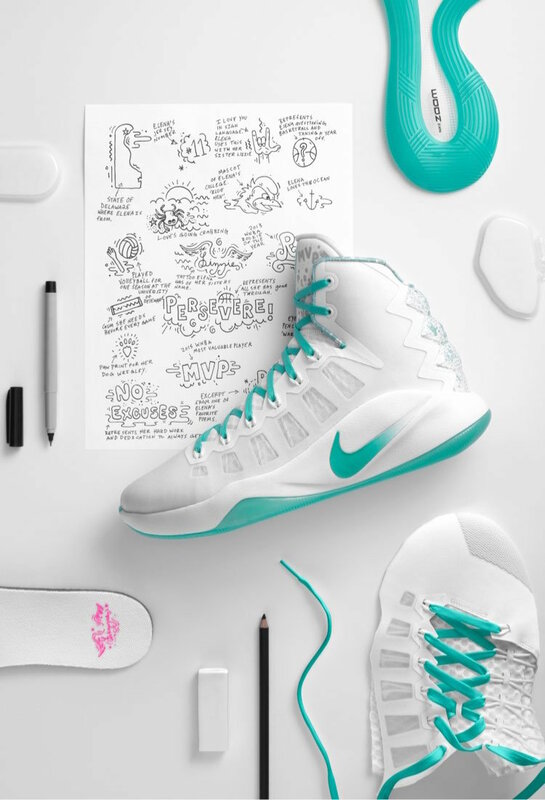 Honoring the WNBA MVP Elena Delle Donne, Nike Basketball will be releasing a special edition Nike Hyperdunk 2016 PE colorway. While dominating not only for the Chicago Skye, but also for the women’s USA Olympic National Team in Rio. This Nike Hyperdunk 2016 features a White-based upper with Green Glow contrasting accents throughout. Other details include a unique graphic print on the heel with phrases like “The Path Less Traveled” and “No Excuses” for motivation. There’s no release date set, but those interested can find the Nike Hyperdunk 2016 “Elena Delle Donne” PE available now through Kickz.com. UPDATE: Nike has debuted the Nike Hyperdunk 2016 “Elena Delle Donne” PE that’s now available on Nike.com.